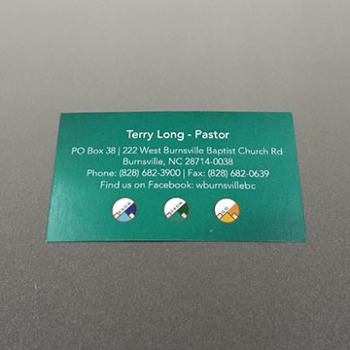 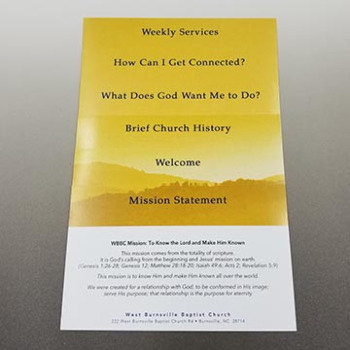 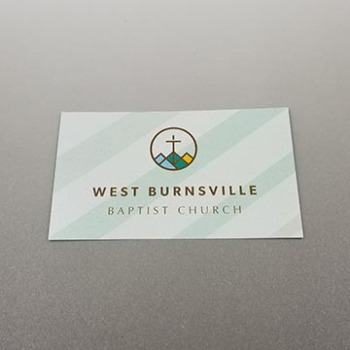 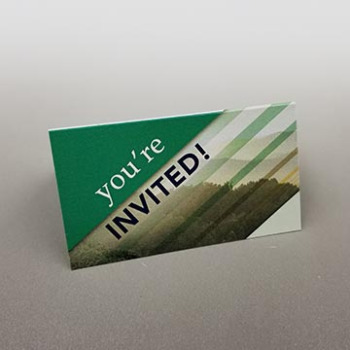 We are excited to share West Burnsville Baptist Church's project with you! 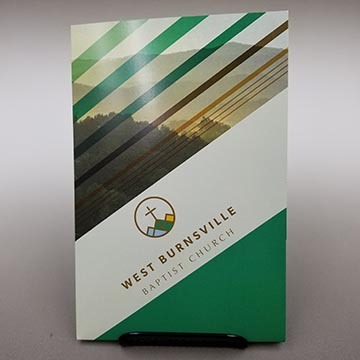 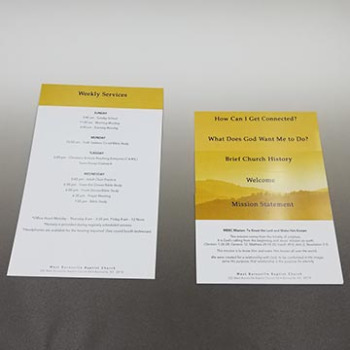 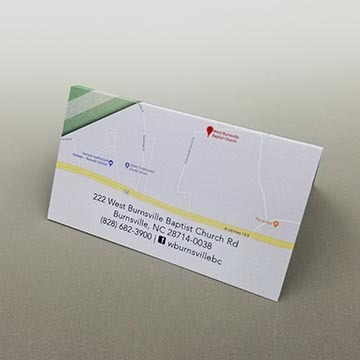 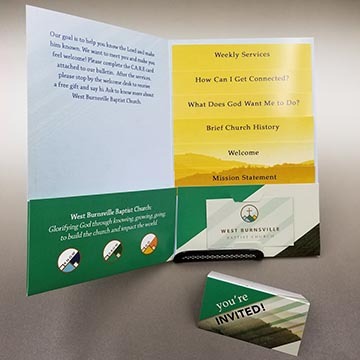 West Burnsville Baptist Church started out with our True Community design style. 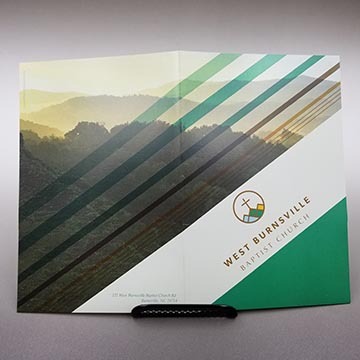 We changed out the photo for a landscape with foggy mountains and adapted the colors throughout the project to match their logo. 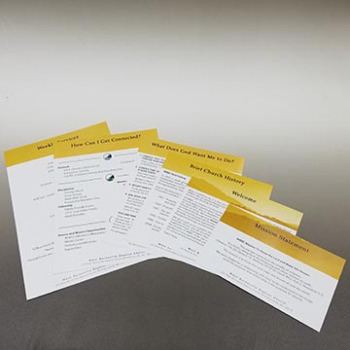 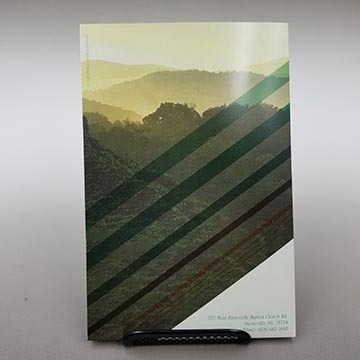 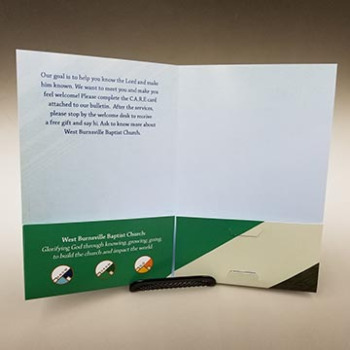 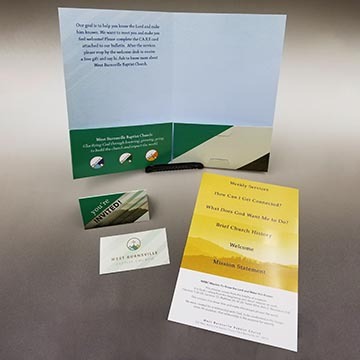 The end result was a great looking Welcome Packet that best represented their church. 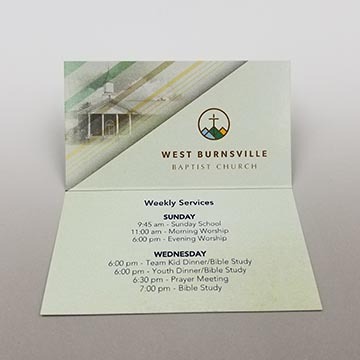 To check out our True Community Design Style, click here.